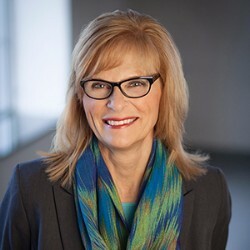 Kathy Gaalswyk was the last Minnesota Initiative Foundation President to retire (2016). She served for 30 years as President of the Initiative Foundation, headquartered in Little Falls. You’re not a Midwest native…how did you end up in rural Minnesota? When I was growing up in suburban Los Angeles, my friends and I spent our weekends at the beach in Malibu. Like most California kids, I assumed my future would unfold on the West Coast, working as a lawyer. However, love ultimately brought me to Minnesota. My husband and his father owned a farm in Pillager in Cass County. While the winters are dark and cold, it ended up being the perfect place to raise a family. The region just feels like home. How did you come to your position with the Initiative Foundation? What do you remember about those early years? I married into a farm family, and my family struggled with the same fate of many others in the region as our family shut down its multi-generation family farm. As the leader of the Region Five Development Commission, I intimately understood the hardships spreading across the region. So when McKnight Foundation set out to follow the headlines and visit hard-hit areas for what ended up being a two-year planning process, I knew their’s was the right approach. Ultimately, the plan was to help diversify the region’s economy by expanding the local job base, not by bringing back large-scale manufacturers, but by providing loans so that people with chutzpah and a great idea could get started and other businesses could expand. We didn’t have a roadmap when we started. At the time, foundations didn’t typically do economic development or lending. What happened early on is we realized that just writing checks wasn’t enough – we needed to provide other kinds of supports to build the capacity of local people. 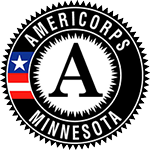 So, the Minnesota Initiative Foundations (MIFs) run programs and activities that provide a combination of training, technical assistance, resource referral and grantmaking to help local people develop a plan and then carry it out. I have learned so much from the creative and passionate people who live in Greater Minnesota, from those who helped for the MIFs in the beginning to those who continue to persevere through natural disasters and other hardships. Here are some of my key take-aways. Look to the locals. One of the biggest lessons I’ve witnessed: people are powerful and resilient, and change happens when you invite them to be a part of the solution. Technology changes. Generational styles change. But the idea that citizens understand what will work in their communities will never go out of date. Look to the next generation. In light of baby boomer retirements, it’s essential that we attract and retain talented people to be our future CEOs and managers so that we keep quality jobs locally and ensure that we keep our region thriving. Recognize when something isn’t working. Not every great idea succeeds. When that happens, it’s important to recognize it and change course, but to not beat yourself up over having tried something that didn’t pan out. It’s OK to do something for a season and then change it. We did a methamphetamine initiative for three years that made a huge impact in terms of bringing down the number of meth labs in the region. There are still challenges, but our piece of the work is done. Embody your mission. Building a culture that embraces the mission, values and vision of the organization is crucial, because that’s what needs to anchor everything. Nurture potential and invest in future leaders. We have at least a half dozen communities that don’t have anyone running for mayor. We have to be proactive when it comes to identifying and supporting the next generation of leaders. To that end, the Initiative Foundation has embarked on several initiatives, including a year-long. Emerging Leaders program and a Paths to Civic Engagement workshop series to encourage young people to try their hand at public service. I will always have a passion for serving Greater Minnesota, but there are so many ways to serve. I’m excited to have more time to dedication to my family and my grandchildren. I’m also a doula, and in addition, I work with Josiah Venture, a faith-based initiative that works to build young leaders in Central and Eastern Europe.